Defining and measuring SMART KPIs are proven to increase results across every area of the business including the contact center. Key Performance Indicators or KPIs are used to help managers and employee gauge the effectiveness of various functions and processes within their organizations. KPIs are linked to specific goals that have been established and they help managers assess whether or not these goals are on target and if they are being met. A recent article published in about money, author F. John Reh, Management & Leadership Expert, offers a clear breakdown of how KPIs can be utilized in various departments within an organization. A customer support team might measure the average on-hold time for customers as well as the percentage of calls that result in a high post call survey rating and overall customer satisfaction. A marketing group will look at the contribution of marketing generated sales leads to total revenue over time to gauge their effectiveness. Other areas of the business will look at the efficiency of processes and various quality metrics. Human resources will look at employee engagement, employee turnover, time-to-fill open positions and other related metrics. Managers and key stakeholders will monitor the indicators over time and adjust plans and programs as needed to improve the KPIs in support of the firm’s strategic goals. How are KPIs Defined and Measured? When it comes to measuring KPI, there are some questions that should be asked in order to ensure that the company or department is getting the best results. First, does the KPI align with the organizational goals and what are those goals? Is the goal to increase revenue or to decrease employee turnover? Identifying what the specific goal will be is the first step in determining how it will be measured. Second, can the goal actually can be measured? For example, “boosting profitability” is certainly a good goal but it’s not very specific and will ultimately be hard to measure. On the other hand, a more specific goal would be “increasing revenue by 50% within the next 12 months.” This is a goal that can be easily measured by tracking revenue on a monthly basis in order to see if the goal is being met. What will be used to measure success? If the goal is to generate $200,000 in sales each day, then daily sales figures will need to be the performance indicator being measured. Next, which metrics are most important? Consider the metric of average hold time (AHT) in the contact center. Perhaps AHT is currently between 15 and 18 minutes and the contact center manager would like to reduce AHT to between 8 and 10 minutes. As this metric emerges as the important one, processes can be put into place that will help reduce hold time. Perhaps agents need to be added to accommodate the high call volume or perhaps agents need to be given more freedom to resolve certain customer issues without having to involve a manager thus cutting down on the amount of time they are spending with one customer. Finally, once the KPIs have been defined, they should be used to monitor progress. As progress is monitored and made, this becomes very motivating for the team. KPIs are valuable because they can be utilized in any department, as illustrated above, and can help to measure the specific goals that have been set in place to track revenue, improve customer service, or implement changes that will improve the culture of an organization. They measure and track progress toward goals and therefore matter significantly to any organization who will use them consistently to determine their success. Without clearly documented and understood KPIS, it’s extremely difficult to reach your corporate goals. 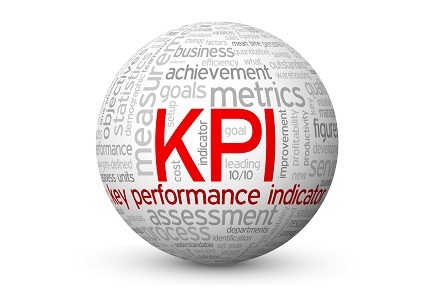 What KPIs are important for the contact center? There are hundreds of possible KPIs that a contact center may want to measure to gauge performance. Here are the top 10 that make most lists. When it comes to measuring KPIs, Spoken’s cloud-based reporting system offers both basic and advanced reports that keep contact center managers aware and actionable. Spoken allows contact managers to choose the product that best suits their needs through real-time and historical data, easy drill down and instant performance management. Contact Spoken for more information.